Wenger Grand Maitre Chef Knife - 6.25 in., 8.75 in., or 10.25 in. A better knife makes every job easier. This Swiss made tool is available in your choice of sizes, and it makes a great addition to any kitchen. Higher quality materials ensure easy operation and professional quality results, and superior construction allow it to last for years even with regular use. Either size has a substantial blade made from a blend of stainless steel, and the heavy weight makes it feel good, and cut even better. The front tip of the knife will rest flush with your cutting board, but the back portion is rounded for style and safety. A comfortable handle is molded right onto the metal blade for maximum control and integrity, and it is made from a polyamide material that is hermetically sealed, non-porous, and resistant to heat. You can wash or sanitize it without worry because the material will never deteriorate or hold onto germs. The ergonomic shape is comfortable to hold, and the slightly textured surface prevents slipping. A mirror like finish on the blade makes it look awesome, but the glossy exterior also protects against corrosion, rust and staining too. The superior blend of stainless steel provides an incredibly sharp edge that is flexible and easy to cut with. Slice, dice and chop with ease! One-piece handle that is injection molded onto the tang. Double tempered steel for optimal flexibility. A special heat treatment is used to make it strong and sharp without making it too stiff. High grade metal for maximum resistance to acids and corrosion. The blended material preserves the look as it protects for longevity. The mirror-like polish on the blade eliminates any imperfection or pore so the blade lasts longer. A rounded finish on the spine keeps you safe if your hand slips. 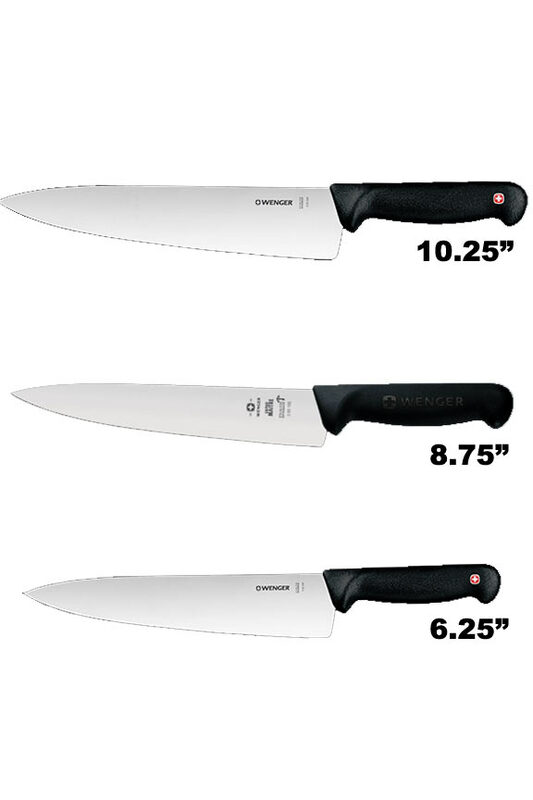 Blade Size 6.25", 8.75", or 10.25"
Uses Perfect for any food prep. 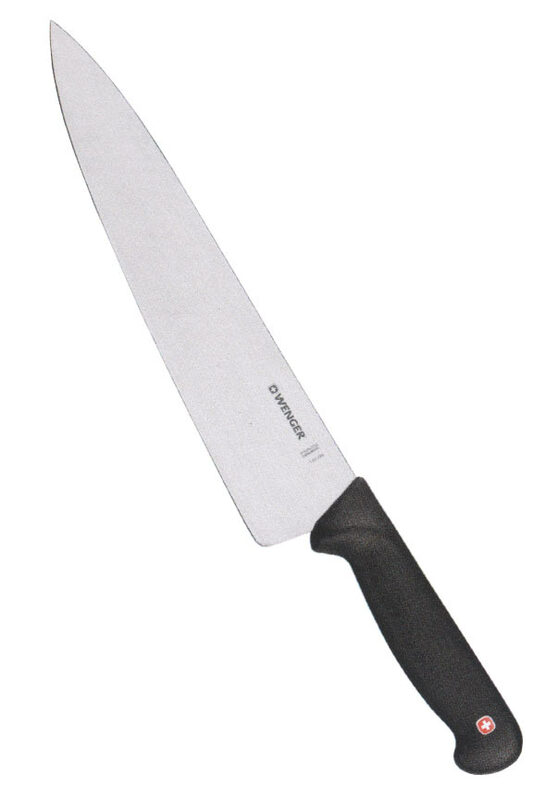 Large blades with super sharp edges are ideal for chopping and slicing. Dishwasher Safe Yes, but hand washing is recommended. Ergonomic Handle Yes. Comfortable to use for long periods. Sanitary Handle Yes. Fully sealed and non-porous. A better quality knife for easier food prep. Slice hard fruits and vegetables like they were butter. This knife features superior materials and craftsmanship to ensure proper function and a long life. Order Yours Today! Kitchen Stuff - Find other good stuff for your kitchen.